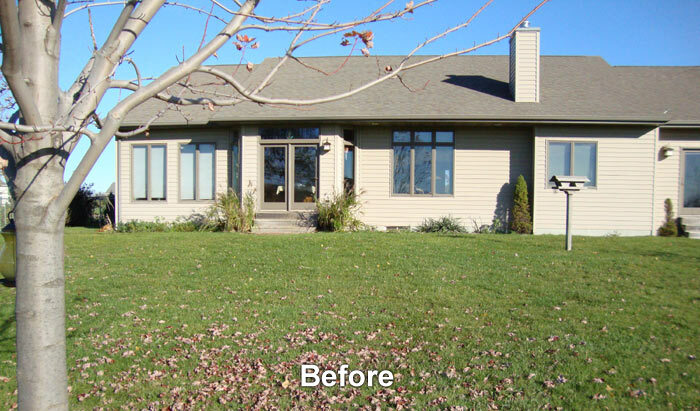 The West Neenah home was beautiful on the inside but the backyard had yet to have a living space created to enjoy the enormous backyard and lovely sunsets. 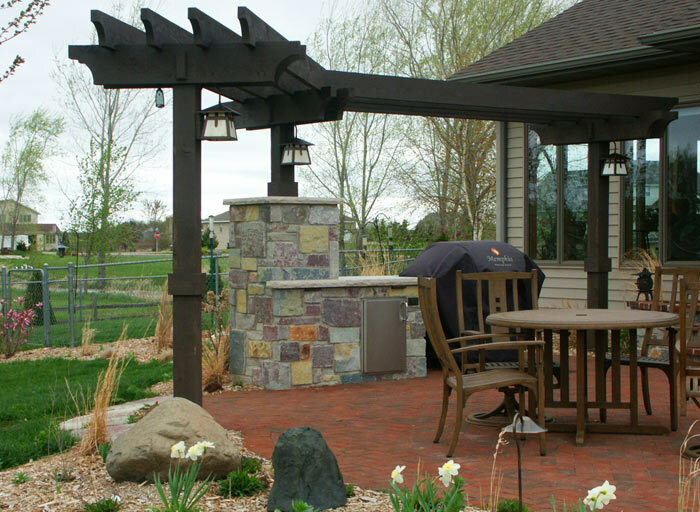 They contacted Stonehenge to create a space that was beautiful but that didn’t take away from the views they already had. 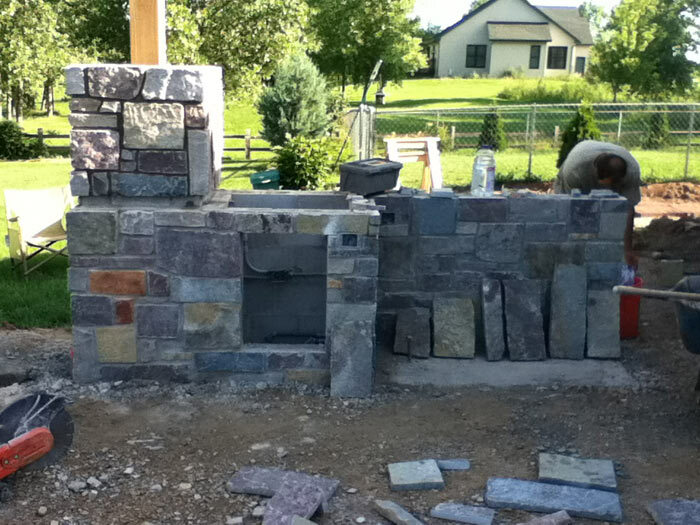 On the wish list was a dedicated stone and mortar home for their new wood pellet grill. 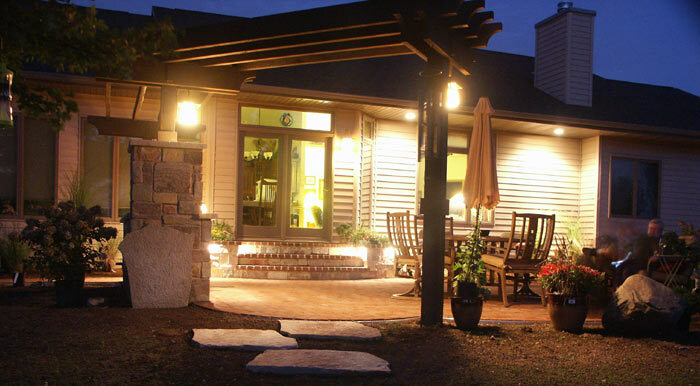 Once completed, the great big open skies didn’t feel so exposing at night; there was a warm, happy place for the clients and their guests to get together, enjoy a little wine and cheese and maybe a thick filet on the grill. 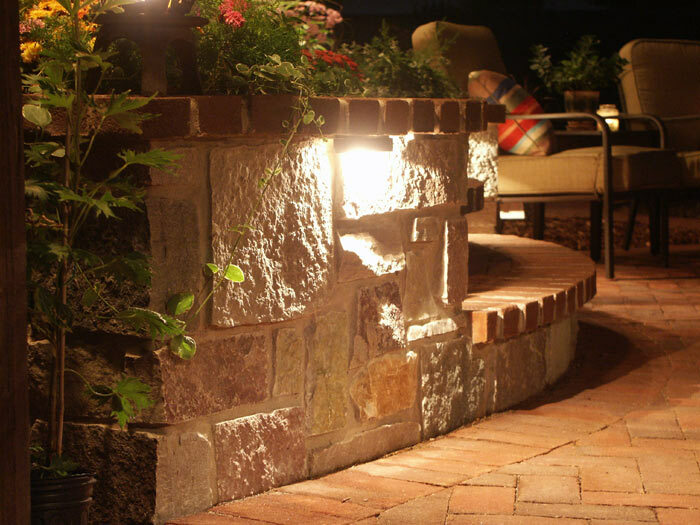 Low voltage lighting integrated into the masonry along with line voltage lights in the arbor make this outdoor space warm and inviting. 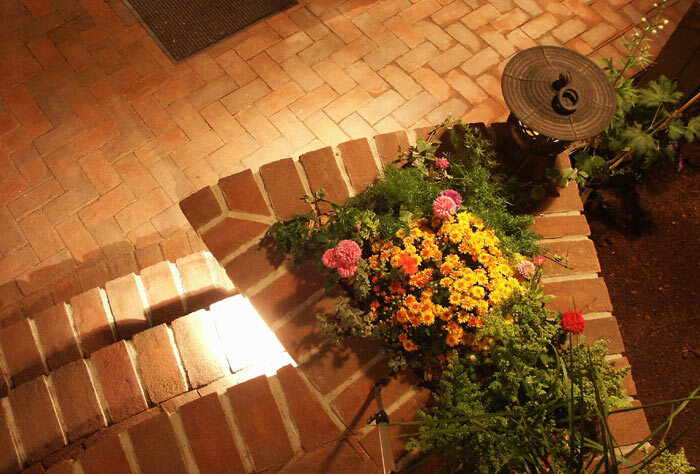 Steps with built-in planters soften and enliven the hard masonry.